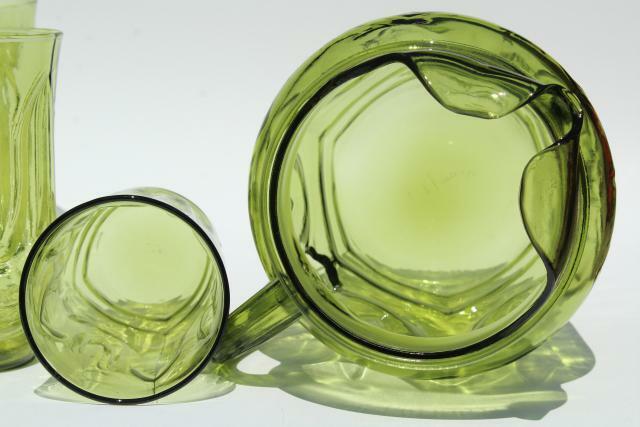 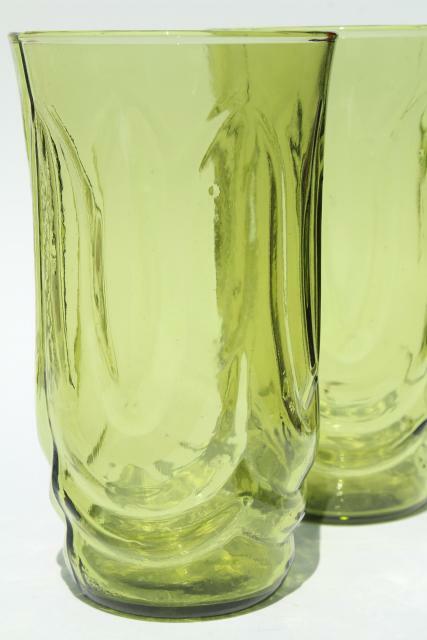 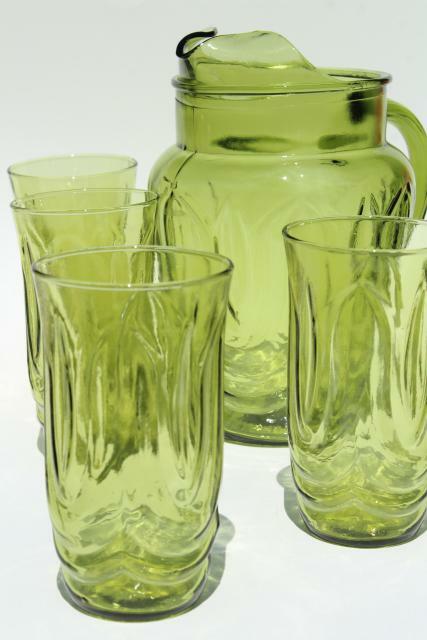 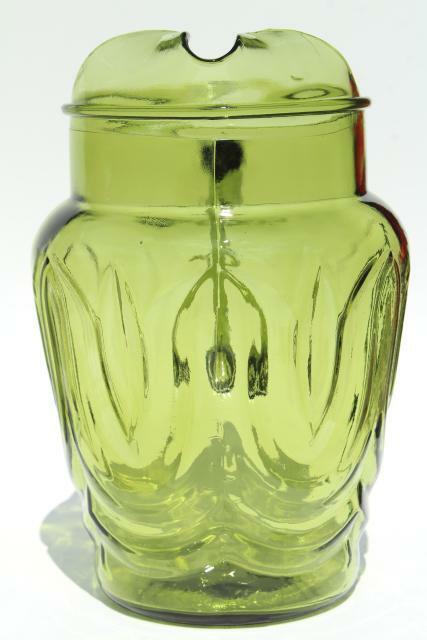 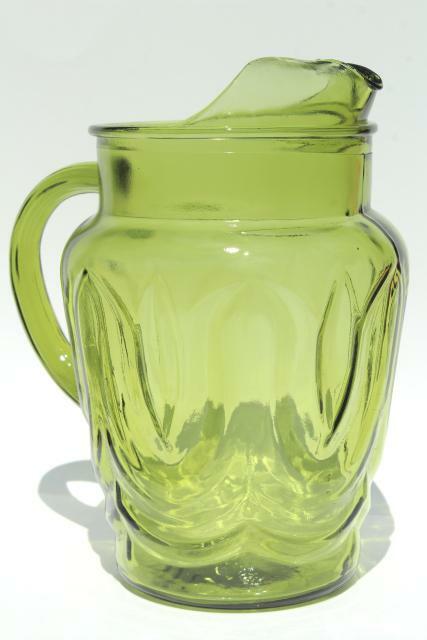 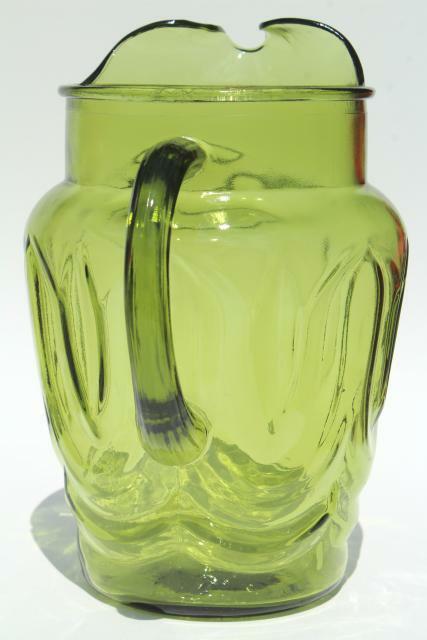 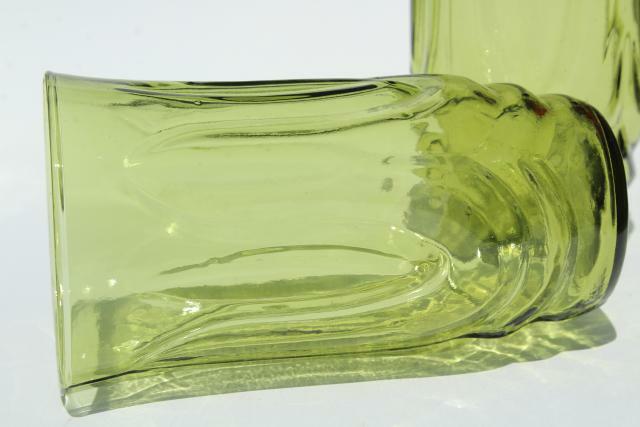 Vintage Colonial tulip pattern pitcher and tumblers, retro 70s Anchor Hocking glassware in avocado green. 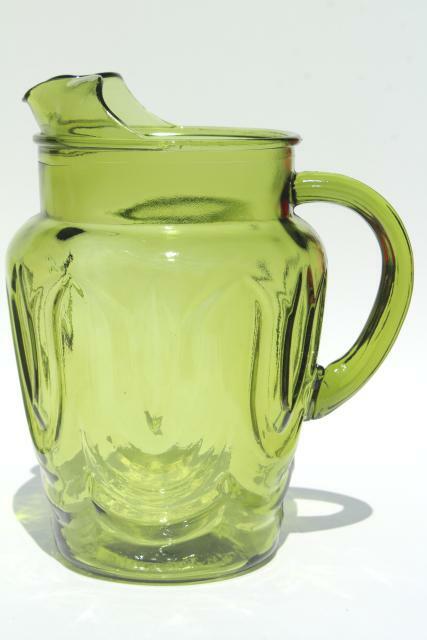 There's four of the 16 oz glasses (5 3/4" tall) and one pitcher about 8 3/4" tall. 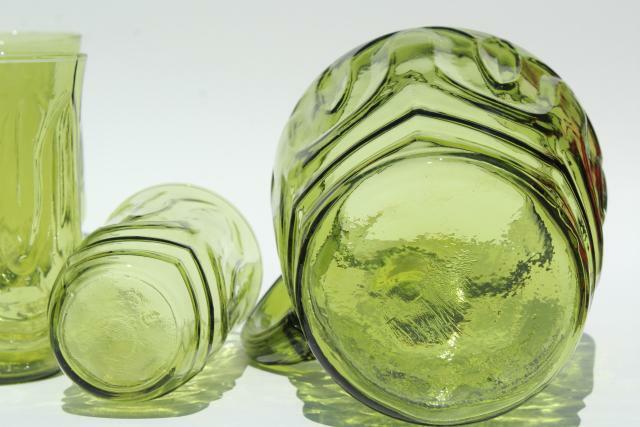 These have just a little light wear - no chips or cracks.